Conservationists and scientists are hopeful after new census data has revealed that Amur leopards, the world's most endangered big cats, are making a comeback. The census data, taken from Russia's Land of the Leopard National Park, reveals that the population in the park has nearly doubled since 2007. In addition, up to 12 Amur leopards were counted in adjacent areas of China. This news validates the efforts of big cat conservation programs worldwide. 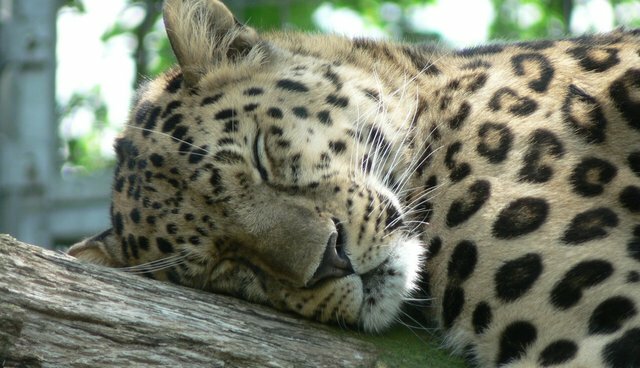 "Such a strong rebound in Amur leopard numbers is further proof that even the most critically endangered big cats can recover if we protect their habitat and work together on conservation efforts." said Director of the Species Protection and Asian Species Conservation Dr. Barney Long. The Land of the Leopard National park, established in 2012, includes about 60 percent of the Amur's remaining habitat, including all known breeding grounds. It has become "the main organization force for leopard protection and research", according to WWF Russia Amur Branch head Yury Darman, who also serves as a member of the Supervisory Board of the Amur Leopards Center. Conversationalists continue to monitor the Amur's population levels in both the park and also in neighboring Chinese nature reserves. While the most recent findings have given them hope, there is a general acknowledgement that there is still a long way to go. "There's still a lot of work to be done in order to secure a safe future for the Amur leopard," said Long, "but these numbers demonstrate that things are moving in the right direction." To find out how you can help the Amur leopards, visit the World Wildlife Foundation website.